Clean Out contains unique citrus scented granules that clean and maintain drains. 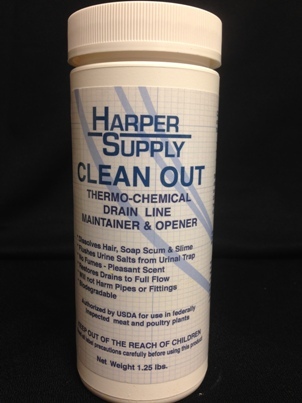 This thermo-chemical drain line opener and maintainer destroys the main causes of slow moving and blocked drains (hair, soap scum and slime); therefore, it eliminates many other debris from also becoming tangled, matted, and trapped. Simple and safe to use in pipes 2” or less.